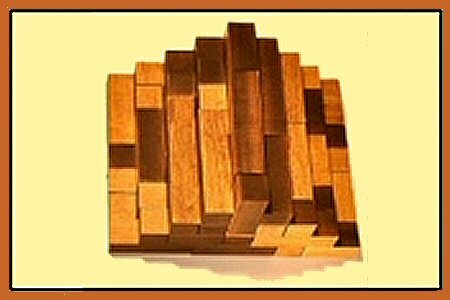 Classic "concentration" game  behind each tile is an image. They are the 12 pentominoes, the way they look in our Quintillions set. Click on a tile to turn it over and reveal an image. Then select a second tile, trying to find the matching image. If the images match, the tiles are removed from the board. Try to see how few turns you need to remove all of the tiles. And when you're done, you'll see a nice surprise! A great score is 18-25, a good score is 26-30, over 30  try again! Click on Start to reset the board. This Memory Game program was developed by and is licensed from KMG Associates.